Photo excerpted from the video below. A Fishing Cat was recorded for the first time in eastern Java on 9 September 2017. 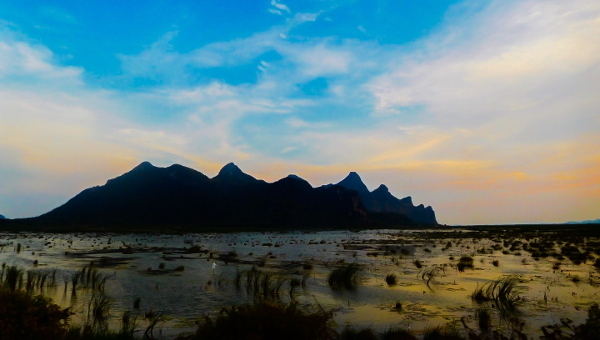 Erwin Wilianto, Iwan Londo and their team had set up camera-traps in the Wonorejo Mangroves south of Surabaya on 5 September. Team members were Agus Azhari, Cipto Dwi Handono, Ivan Martin and Happy Ferdiansyah. On 14 September, Angie showed the video to some participants of the Small Wild Cat Conservation Summit. Alex Sliwa, Grégory Breton and Neville Buck know both Fishing Cat and Leopard Cat from captive environments. They all confirmed that the video shows a Fishing Cat. The Khmer Times published Cool cats: Preserving the kla trey. We welcome Alexander Sliwa as new member of the Fishing Cat Working Group. 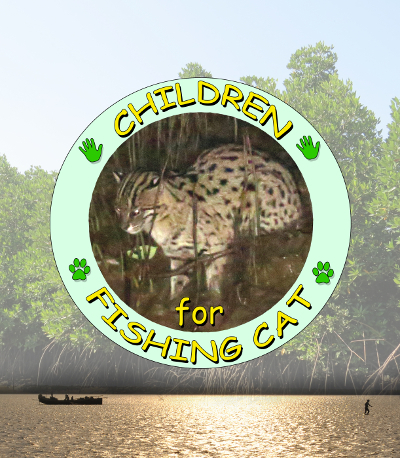 Alex has been working on Fishing Cat in Sri Lanka's Udawalale National Park. He is Curator at Cologne Zoo and Chair of the EAZA Felid Taxon Advisory Group. 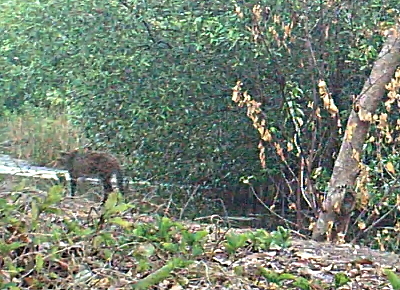 He has been helpful in the past to identify Fishing Cat and Leopard Cat in sometimes very difficult photos. 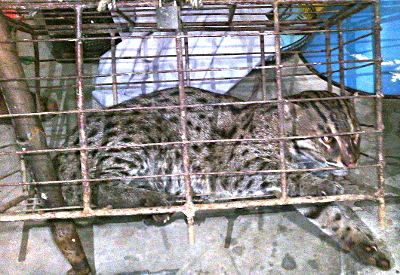 This Fishing Cat was captured by locals on 21 September in northeastern Bangladesh. Our conservationist friends in Moulvibazar rescued it. After some initial treatment the cat was handed over to the Forest Department and released on the following day at Lawachara National Park in evergreen forest. Murthy Kantimahanti has been invited as a guest speaker at the Jackson Hole Wildlife Film Festival held from 24 to 29 September in Wyoming, USA. Giridhar Malla will give a presentation titled The role of mangroves in safeguarding the vulnerable Fishing Cat in South India at the Mangrove Symposium of the IUCN-SSC Mangrove Specialist Group hosted from 12 to 17 September by the Leibniz Centre for Tropical Marine Research in Bremen, Germany. 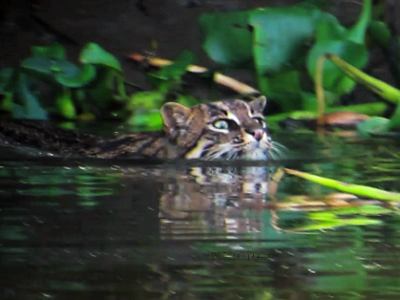 Baiju Raj from Wildlife SOS sent this photo of a Fishing Cat. He wrote that this is the second one that was hit by car on India's National Highway 2. The first was recorded on 18 February 2016 on the same highway near Sur Sarovar Bird Sanctuary northwest of Agra. The subadult male is nearly two years old. He was captured in the Dunumadalawa Forest Reserve, which is a water catchment area in Kandy, 486 ha large and closed to general public. I hope to monitor the cat for the next six months. 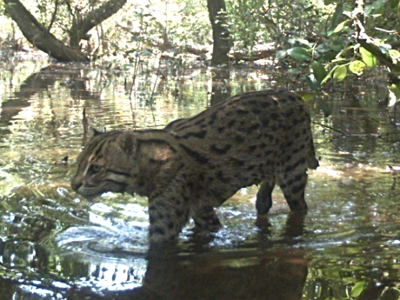 Giridhar Malla will give a presentation titled Mangroves and Fishing Cat: who protects whom? A case study in South India on 26 July at the 28th International Congress for Conservation Biology in Cartagena, Colombia. Giridhar Malla will give a presentation titled Eavesdropping on an elusive cat: a preliminary study of Fishing Cat vocalization in a tropical mangrove of South India on 18 July at the 4th International Symposium on Acoustic Communication by Animals held at Omaha's Henry Doorly Zoo in Nebraska, USA. Linda Castaneda will introduce our Fishing Cat Conservation Strategy and projects to participants of the Felid TAG Conference hosted from 16 to 22 July by Erie Zoo in Pennsylvania, USA. Sayam Chowdhury collated 55 records of Fishing Cats in Bangladesh. He traced 28 Fishing Cats that were killed by local people between January 2010 and May 2017, and 27 that were captured and released. Giridhar Malla received a Whitley Wildlife Conservation Trust award for his Fishing Cat conservation project in the Coringa Wildlife Sanctuary, India. He has also been invited to present his research on Fishing Cat at the Animal Behavior Society's Annual Conference held in June at the University Toronto Scarborough, Canada, and at the International Congress for Conservation Biology in Cartagena, Columbia, in July this year. CONGRATULATIONS, Giridhar!! The Times of India published: I aim to conserve wildlife of the Eastern Ghats: Kantimahanti Murthy. Sagar Dahal received a grant for his new Fishing Cat conservation project in the human-dominated landscape of Bara district, Nepal, from the Mohamed bin Zayed Species Conservation Fund. CONGRATULATIONS, Sagar!! The Dhaka Tribune published this photo and the article Villagers beat Fishing Cat to death. 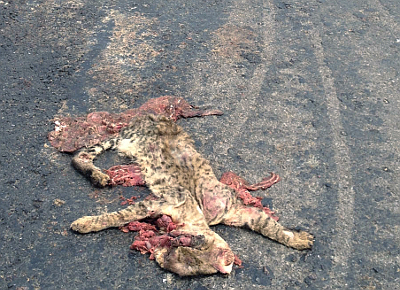 This is the fifth Fishing Cat in four months that was brutally killed in this area. 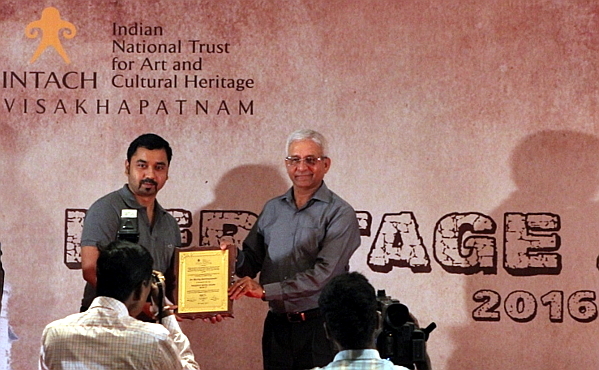 Murthy Kantimahanti received the "Pakruti Mitra" Award from the Indian National Trust for Art and Cultural Heritage (INTACH). INTACH member Jayshree Hatangadi nominated him for this 'Nature's Guardian Award' that recognizes people's achievements in wildlife conservation and environment protection. The award ceremony took place in Murthy's hometown Visakhapatnam. CONGRATULATIONS, Murthy!! The Daily Star published Eyes in the shadows by Sayam Chowdhury. 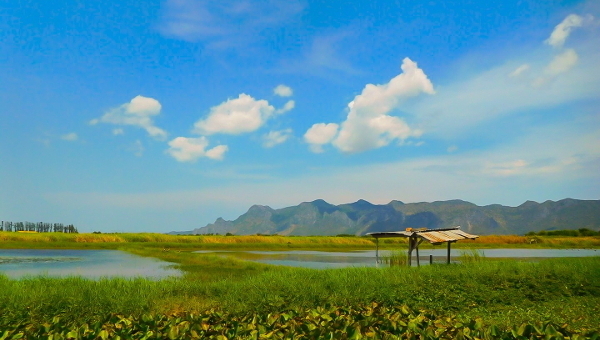 Thanks to Namfon (Passanan Cutter) for organising a very interesting trip into the wetlands of Khao Sam Roi Yot National Park. The local school teacher Mr. Rud and his colleagues were fantastic and very knowledgeable guides who took me into some parts of the Fishing Cat habitat. 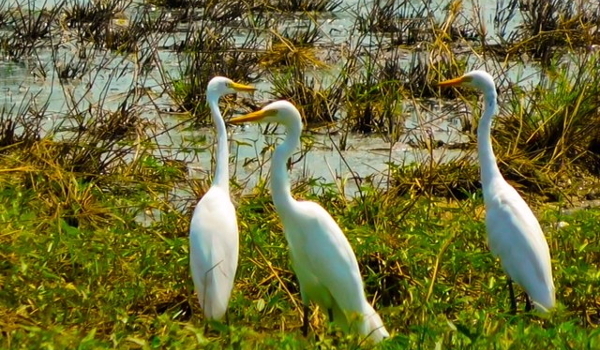 We saw a great deal of typical swamp and mangrove birds such as kingfishers, Javan and Chinese pond herons, little and great white egrets, Asian openbill storks, stilts as well as swallows and the ubiquitous mynahs. One exciting highlight was the sighting of six Garganey ducks, which are migratory, but have apparently been absent from the area for the past 20 years. I learned that Fishing Cats are mostly nocturnal and don't like to encounter people. This visit gave me a first-hand look in situ as it were, and made me realise the enormous problems facing the ever menaced Fishing Cats, and their precarious survival. 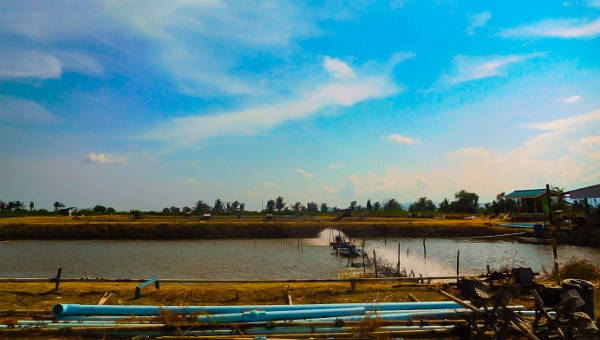 Lucrative shrimp and fish farms have encroached increasingly into Fishing Cat habitat and are progressively destroying it, thereby endangering the Fishing Cats. Mr. Rud showed me some pictures and videos of Fishing Cats, caught at night by strategically placed camera-traps, and I must say, they are very beautiful. It cannot be stressed enough how threatened these Fishing Cats are, and any efforts to support their protection and rehabilitation of their habitat can only be lauded. Anya Ratnayaka has been selected for a Handsel Scholarship for Wildlife Conservation through the Wildlife Conservation Network Scholarship Program. CONGRATULATIONS, Anya!! 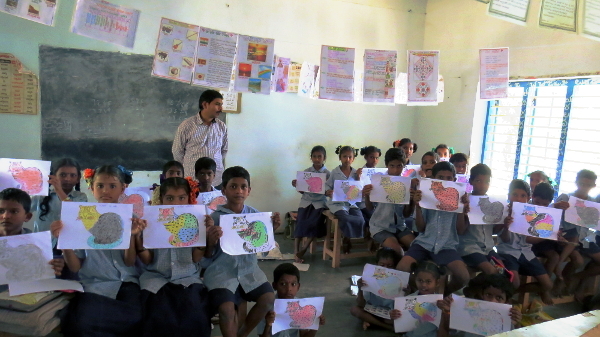 Today, Giridhar Malla started an initiative for creating awareness on the Fishing Cat among children of fishing communities in 15 villages surrounding the Coringa Wildlife Sanctuary in Andhra Pradesh, India. 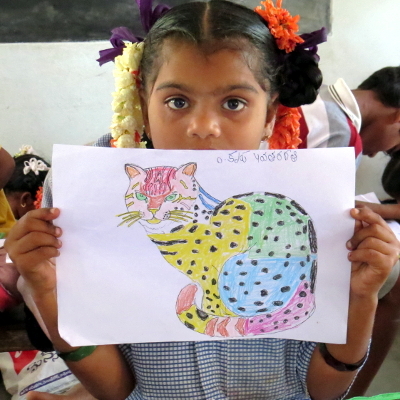 All painted Fishing Cats, and now the classroom is decorated with their colourful drawings. 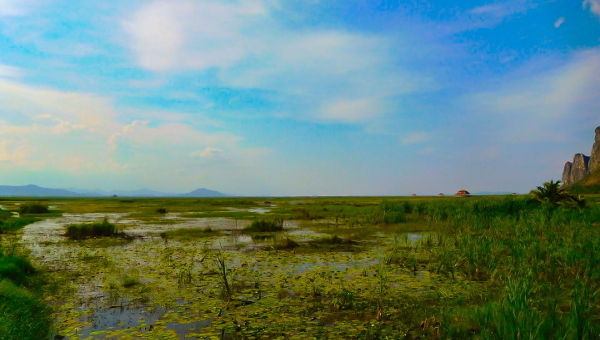 The Times of India published: Supreme Court directs Centre to preserve over 2 lakh wetlands.